Although not meant to be a part of your everyday diet (you’ll see why when you consider the ingredients list), lemon curd sure is a special treat! A traditional English sweet spread, curds work well as a topping on cakes, cookies, and scones or as filling in pies and tarts. You could spoon it onto cream cheese for a unique dip or simply drip it over ice cream or frozen yogurt. 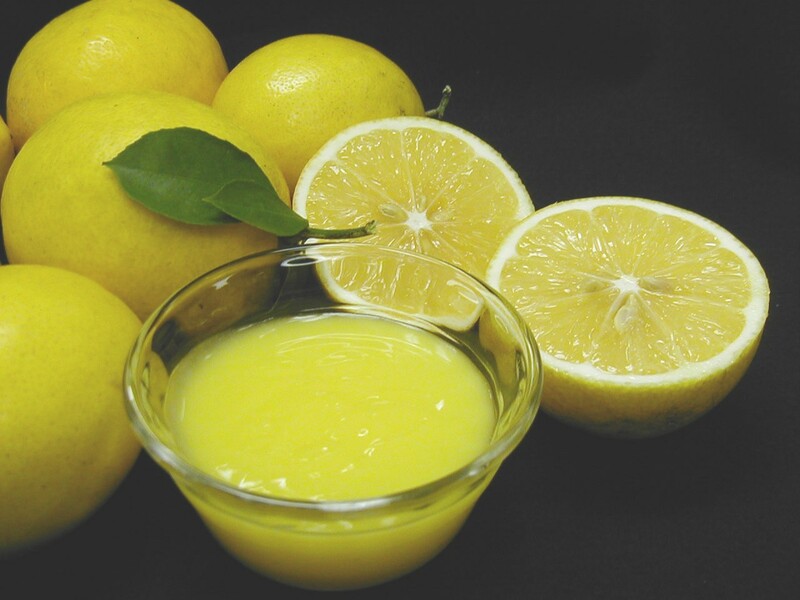 Making lemon curd is somewhat challenging, so if you are a novice then you might want to recruit help from a more experienced cook. And, as usual, if you are new to canning then please read step-by-step instructions on Using Boiling Water Canners and Principles of Home Canning. You can prepare this lemon curd to be consumed fresh, frozen, or canned. You could even make Lime Curd instead, substituting the lemon juice and zest for equal parts lime juice and zest. Either way, fresh curd needs to be refrigerated and eaten within 4 weeks, frozen curd will maintain best quality for up to a year, and canned curd for just 3 to 4 months. 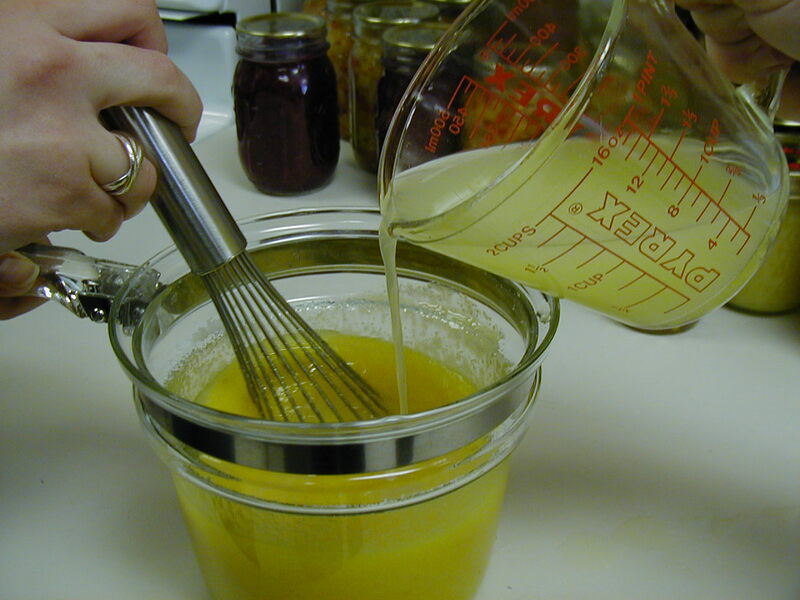 The procedure for making lemon curd is an exacting process. Low-acid foods make up a significant portion of the ingredients (butter and eggs), so it is especially important to follow a tested recipe and canning process time for safety’s sake. 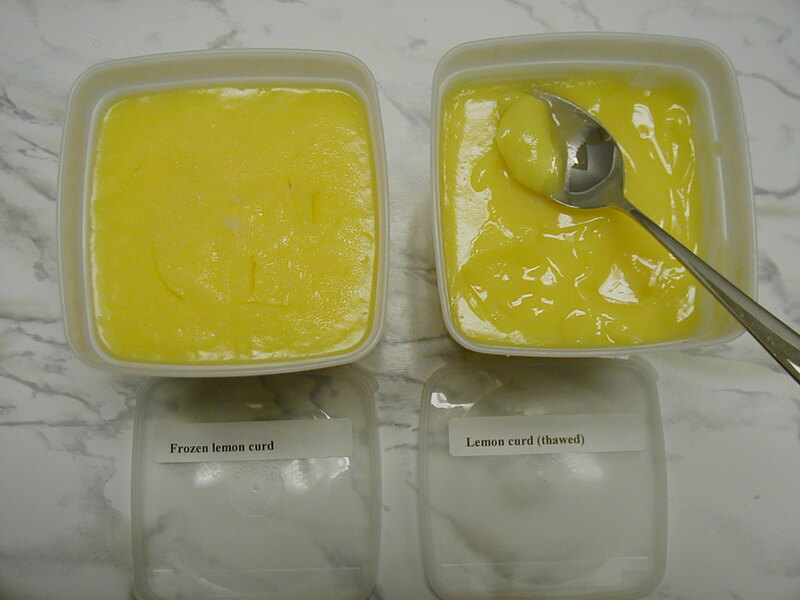 Instead of detailing each step of the procedure here, please review the ingredient and equipment lists below, and then use these links for complete instructions from the National Center for Home Food Preservation: Canned Lemon Curd and Preparing and Preserving Lemon Curd (frozen). 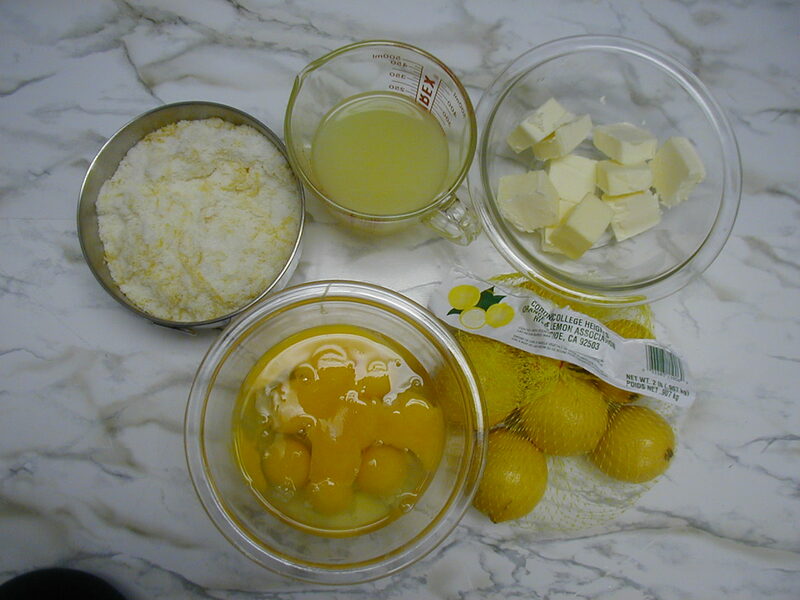 This entry was inspired by the season, the Valentine’s Day holiday (because lemon curd makes an impressive gift whether fresh or preserved) and by the article Preserving and Preparing Lemon Curd by Elaine M. D’Sa. This entry was posted in Canning, Freezing, Recipes, Seasonal Food Tips and tagged boiling water canning, canned lemon curd, fresh lemon curd, frozen lemon curd, lemon curd, lemon recipes, lime curd, lime recipes, spreads, sweet spreads on February 11, 2014 by nchfp.